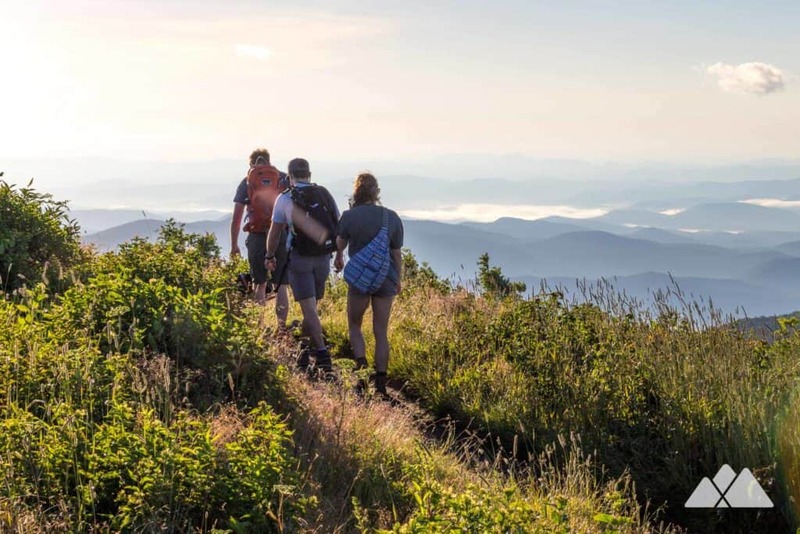 Hike this double-summit, ultra-scenic five mile loop on the Art Loeb and Ivestor Gap trails, summiting Black Balsam Knob and Tennent Mountain. It’s a sun-drenched, blueberry and blackberry-filled adventure over two bald mountains to some incredible views. 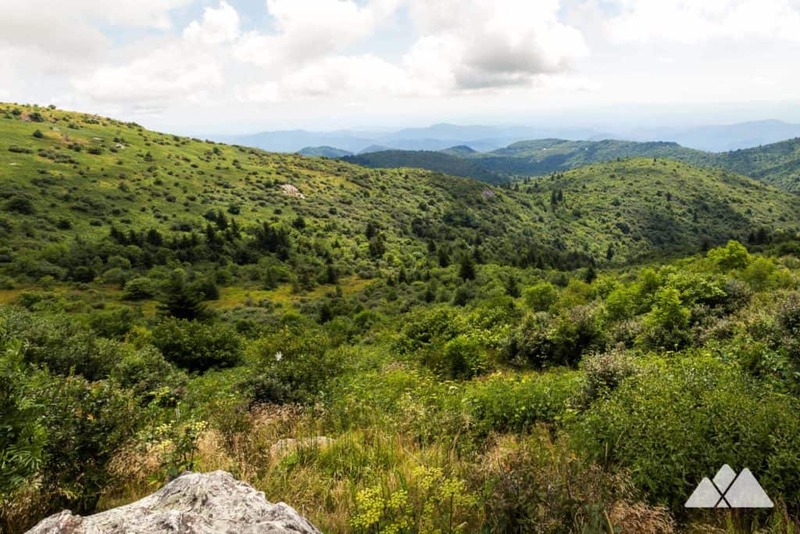 Black Balsam Knob is well-loved for its wide-open, stunning panoramic views, its sweet-scented groves of shady balsam fir, and its rolling mountaintops filled with meadow grasses, wildflowers and scores of blackberries and blueberries. The most popular hike on the Art Loeb Trail to Black Balsam Knob spans just under 1.5 miles, and catches some stunning views. But there’s so much more beauty to be seen from this bald, grassy ridgeline. This hike visits the Black Balsam Knob summit and then rolls elevation to a neighboring peak, Tennent Mountain, for equally stunning (if not better) long-range views. It winds down Tennent’s rocky elevations to the Ivestor Gap Trail, looping back to the trailhead on the two mountains’ lower elevations and catching some great views of nearby Sam Knob. It’s a great, moderate 5-mile loop hike just off the Blue Ridge Parkway that catches an abundance of fantastic, see-forever views. The hike departs on the Art Loeb Trail trailhead, located halfway down Black Balsam Knob Road from the Blue Ridge Parkway (view maps and driving directions). The trail treks between dense thickets of wild blackberry bushes before diving under the cover of balsam fir. The forest is fragrant with the scent of pine, and tall grasses wave in the gentle, high-elevation breezes. The trail exits the balsam tree canopy, beginning a rocky climb to the Black Balsam summit, passing a lone, old balsam fir. The hike treks over large rock outcrops, the views getting increasingly more breathtaking as the elevation climbs. The hike passes the Art Loeb Spur on the trail’s left at .4 mile, continuing north on the Art Loeb Trail. 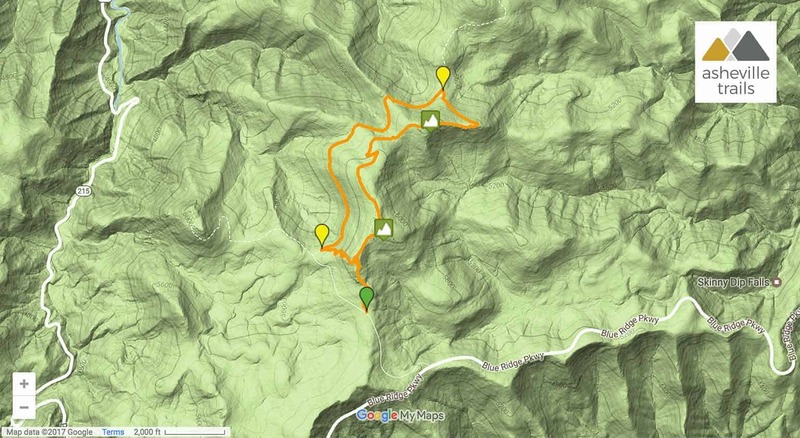 (This loop will follow this spur trail at the end of this hike for a shortcut back to the trailhead.) 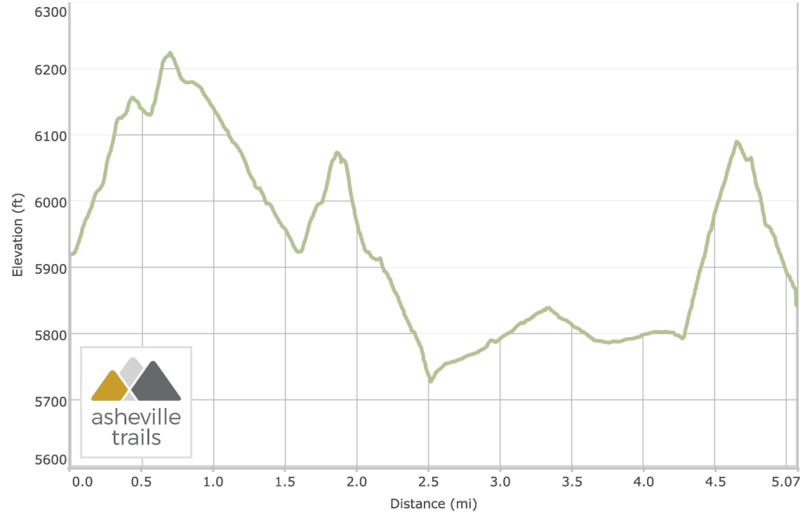 The hike dips elevation before resuming its climb, finally reaching the summit at .7 mile. A plaque on a wide, gray rock outcrop near the summit commemorates the trail’s namesake, Art Loeb. Views are incredible and plentiful in every direction. The Art Loeb Trail descends from Black Balsam Knob, trailing through dense, low vegetation including grasses, blackberry, and blueberry. Bees buzz loudly in this idyllic, sun-soaked landscape full of flowers. The hike passes a wooden Art Loeb Trail sign at .95 mile, diving through tall, dense, berry-heavy bushes and switching back sharply as it descends. The trail passes a second wooden Art Loeb Trail sign at 1.6 miles before beginning a steady climb. The hike summits Tennent Mountain at 1.9 miles, catching views from one of several extensive rock outcrops at the summit. Views of the rolling, waterfall-filled terrain of Graveyard Fields is visible to the southeast. The hike passes a junction with the Fork Mountain Trail at 2.6 miles. Views of Black Balsam Knob, Tennent Mountain and the nearby Sam Knob open along the trail, a wide, graveled roadbed. The hike rolls elevation, curving through the hilly landscape dotted with small groves of balsam fir. The hike passes a small trailside spring at 4.2 miles. Just before reaching a parking area for the Ivestor Gap and Sam Knob Trail, the hike hangs a left into the forest, ascending the Art Loeb Spur Trail. The hike treks eastbound, carving through sharp switchbacks and climbing through dense grasses, shady groves of trees and tall, thick masses of brush. It’s a steady climb – and the steepest on this hike, rising nearly 300 feet in a third of a mile. The trail finally crests at Black Balsam’s lower elevations. The hike hangs a right on the Art Loeb Trail, hiking southbound to the trailhead, descending the mountain and retracing its steps through the grove of balsam fir. The hike reaches the trailhead at just over 5 miles, completing the adventure. Haven’t had your fill of awe-inspiring views? We don’t blame you… this slice of the Blue Ridge Parkway is especially scenic and ruggedly beautiful. The Sam Knob Trail begins at a trailhead at the end of this same road. 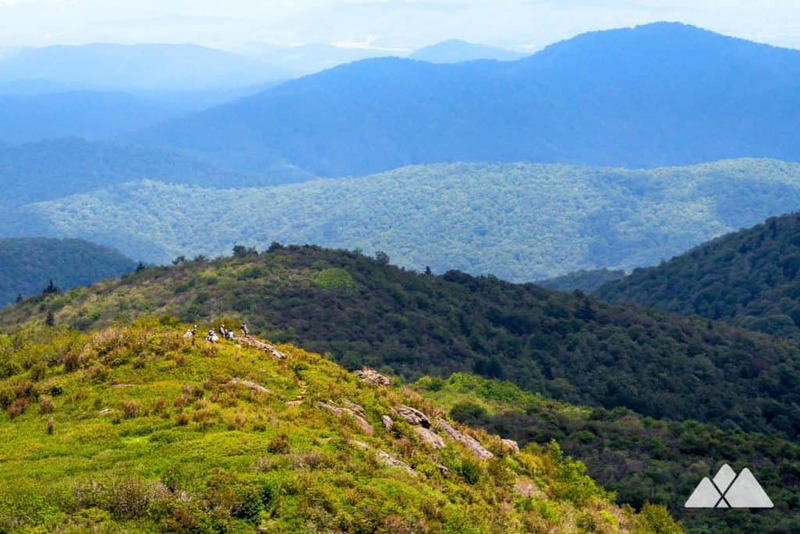 The hike explores a wide, wildflower-filled meadow and summits Sam Knob for more stunning views. In the mood to chase some waterfalls (and even more blueberries and blackberries)? Hike the Graveyard Fields Trail to two beautiful waterfalls on the Yellowstone Prong River. It’s two miles east on the Blue Ridge Parkway.